Before online shopping, high streets and malls, there were mail-order department store catalogs. In 20th century America, department stores like Montgomery Wards, Sears and Macys were every family’s one-stop shopping destination. From clothing for the fashionable lady to tools for the handyman and toys for the kids – plus furniture for the home, appliances for the kitchen and other necessities for at-home comfort and conveniences – the American department store enabled everyone to purchase everything under one roof or from the pages of one catalog. Last Christmas while writing my e-book, the 100 Best Vintage Shops Online (you can download a free excerpt here) I was gifted a Montgomery Ward’s catalog from 1960. My stepmother’s friend had purchased the catalog from a flea market in 1986 for inspiration to use for his art school projects and in passing it along to me, gave me inspiration to research the American retail history behind Ward’s and its stylish pages of classic early ‘60s fashion. First, what was going on in the world in 1960? The early ‘60s had one foot in the conservative ‘50s and another in the burgeoning liberal attitudes and lifestyle of the 1960s. A glance at the pages of the Ward’s catalog shows how the fashions of the 1950s (knee-length or longer hemlines, conservative prints, voluminous skirts, nipped waists) were still popular in 1960 and would be until approximately 1964, when the influences of swinging London would hit stateside with bold prints, vibrant colors, shorter skirts and carefree, waistless silhouettes. In 1960s, the world population was approximately 3 million (versus 7 million today) and American life expectancy was approximately 70 years old. Gas cost $.31/gallon, eggs were $.57 and a woman’s silk “New Look” dress from Ward’s was $18.98 (about $150 value today). The television was still a prized possession in the average household. The first televised presidential debates were in 1960 (between John F. Kennedy and Richard Nixon) which as many historians will argue, helped Kennedy win the election and hearts of Americans inspired by his looks, charm and eloquence. The average marrying age for men was 22 and women was 20 – and in 1960s, the birth control pill was approved by the FDA, granting women greater control of their sexual lifestyle … married or not. Liberation of a different kind was beginning as well – African Americans led peaceful demonstrations for the civil rights movement, starting with a lunch counter sit-in at a Woolworth’s in Greensboro, North Carolina. Now, for a brief history on Ward’s department store, which began as a mail-order only catalog in 1872 after founder Aaron Montgomery Ward realized that men and women in rural areas wanted “city goods” but had limited access to them without traveling far distances. Thus, the mail-order catalog “Ward’s” was born, which cut costs by offering goods straight from the producers to the customers, who could pick them up via delivery at the nearest train station. The mail order catalog allowed anyone anywhere to have the modern conveniences, fashions and functions of those living in urban centers. It was another step toward uniting the country as place where opportunity for materialistic and financial abundance lives for all. By 1883, the catalog had adopted a nickname (the “Wish Book) and grown to 240 pages and 10,000 items. The first competitor entered the market in 1896 – mail-order company Sears, Roebuck and Co. debuted their similarly constructed catalog. In 1926 the catalog-only company launched its first retail outlet store in Plymouth, Indiana. 244 stores would open across the following two years, a staggering accomplishment for the time and establishing Ward’s as the go-to department store of the era. The height of Montgomery Ward’s popularity peaked in the 1950s and began to decline in the 1960s due to decreased catalog sales. Ward’s folded the mail-order portion of the brand in 1985, 113 years after its first print. Due to change in shopping patterns (Americans were visiting malls, and Ward’s were still marketed as stand alone stores not attached to other retail infrastructure), the company went bankrupt in 1997 and in 2000, shut down all remaining brick and mortar stores and lay off 37,000 employees. At the time, it was the largest retail bankruptcy liquidation in history. But the Montgomery Ward story doesn’t end there. The brand’s intellectual property was purchased for use to relaunch as an online-only e-commerce site, offering much of the same inventory the original catalog did and continuing its legacy as a “one-stop” shopping experience for all aspects of family life, home and fashions. You can shop Montgomery Ward online and request a digital version of the iconic “wish book” for online shopping convenience. To honor the American legacy of mail order catalogs and forgotten icons such as Montgomery Wards, here are a few of my favorite pages from the 1,192 page Fall/Winter 1960 catalog. Sammy Davis founded Sammy Davis Vintage in 2009 to make vintage fashion more accessible to the contemporary woman. She now helps vintage sellers learn how to sell vintage clothing and market their goods so that the 21st century woman can more easily make vintage a part of modern life. 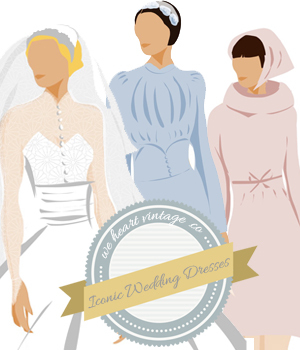 Download a free excerpt of her ebook, the 100 Best Vintage Shops Online, by clicking here!